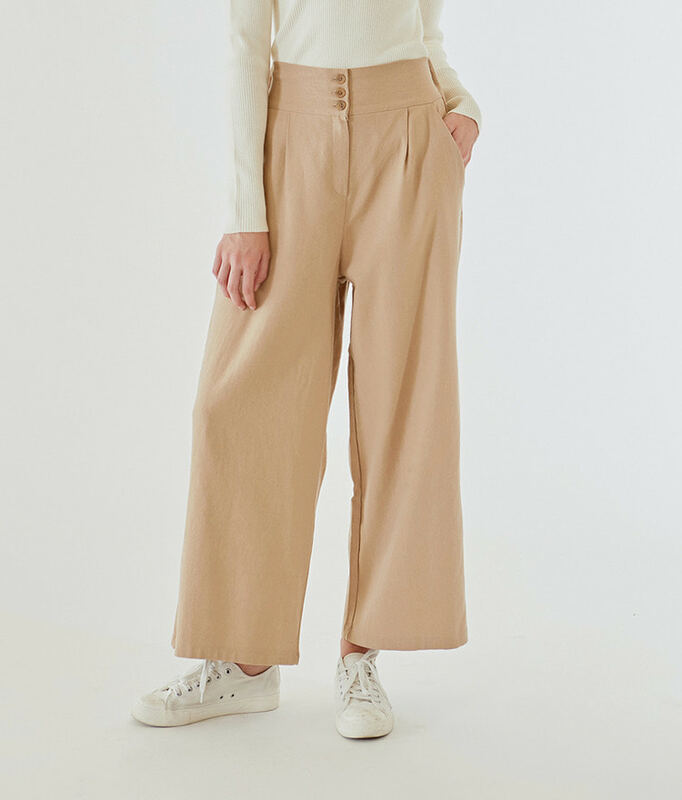 Change up your style and pick these wide-leg pants instead of your usual skinnies. These pants offer easy movement and breezy comfort, as well as a functional edge with their triple button closures, flattering high waist, and pockets. Team them up with your slim top and loafers for a sleek finish.